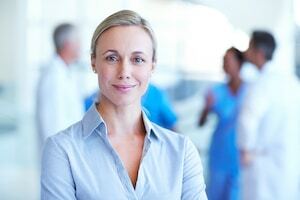 About Us - Learn about TalentMed's accredited training. 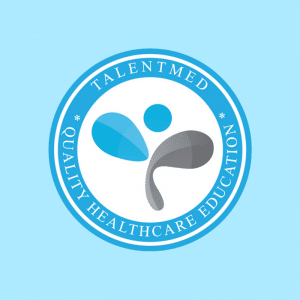 TalentMed is a Registered Training Organisation (RTO) providing a small number of specialised accredited healthcare courses. Dedicated to career-focused, quality healthcare education, TalentMed provides the opportunity for individuals to gain the necessary skills they need to achieve their professional goals. Our courses are specifically designed to help provide you with the professional guidance, education and skills needed to succeed. We focus on meeting your individual learning needs by delivering quality education, flexible study schedules and affordable training solutions to help launch new careers and build a brighter future for Australian Healthcare. When you enrol in a TalentMed course, you can be confident that you’re going to learn the right skills for your industry – the skills that are in demand both today and tomorrow. TalentMed courses such as our premier Diploma of Healthcare Documentation, have been developed in consultation with industry experts and contain theory training as well as real-world practical experience. Together with an expert-designed curriculum, you can access personal support from qualified trainers throughout your coursework. And your journey doesn’t end there – all diploma level graduates are provided extensive job placement assistance to help turn your education into a fulfilling career upon course completion. Career Advisers who help discuss training packages, career outcomes and financial aid options. With decades of experience in the healthcare industry, making them uniquely qualified for your professional development. Student Support Advisers who assist with any queries you have during your coursework. Technical Support Advisers who are dedicated to solving your technical enquiries five days a week. Graduate Advisers who help develop your career plans and assist with your job placement after graduation. TalentMed is committed to your success and that is why we pride ourselves on supporting you in every capacity we can. Don’t take our word for it, check out our public ratings and reviews from real students about TalentMed. We understand that you expect the highest quality in your education and learning. That’s why our qualifications are nationally recognised under the Australian Qualifications Framework. The AQF is an independent Australian government entity that regulates the requirements for Certificates and Diplomas, making sure that they meet a nationally agreed standard. This means that accredited TalentMed courses such as our Diploma of Healthcare Documentation, are delivered by qualified trainers and recognised by employers across Australia and around the world. Studying online with TalentMed is both flexible and affordable. 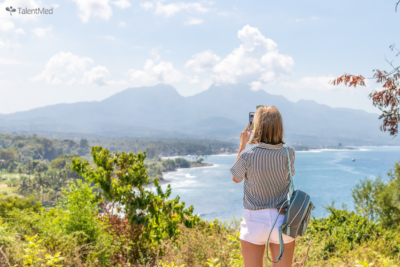 You’ll receive an expert-created, totally interactive and high quality learning experience for a fraction of the cost of traditional education pathways. Even though TalentMed ranks among the very best in accredited training, we’re also among the most affordable. Compared with traditional pathways, online study with TalentMed offers you the best value whilst delivering the highest quality in education and learning. According to the government’s Study in Australia website, the average cost of a Diploma is between $10,000-$15,000AUD. With TalentMed’s premier Diploma of Healthcare Documentation, you can undertake the course with all resources, student support and job placement assistance for a fraction of the cost of most Diplomas. In addition, you may be eligible for Government Assistance with this course. Please contact us today on 1300 737 781 to find out more. When you study online with TalentMed we allow you to start a course on any day of the year and you complete the course at your own pace. With online learning you design a study schedule that best suits you, with the guidance of our trainers and Student Support Team. However, please refer to TalentMed’s recommended study commitments. If you have any questions – please contact one of our advisers on 1300 737 781. One-on-one support throughout your course. True self–paced approach with flexible, online assessments in each section. The Royal Hospital For Women Foundation. The funds we raise go towards research in women’s and newborns’ health, essential equipment, special services and health promotion in the community.